Bhubaneswar, June 4 (IANS) Justice Dhirendra Hiralal Waghela was on Thursday sworn-in as the chief justice of the Odisha High Court by Governor S.C. Jamir in Cuttack. Prior to his new assignment, Justice Waghela was officiating as the chief justice of the Karnataka High Court. Waghela was transferred here in April this year by a presidential warrant of appointment. 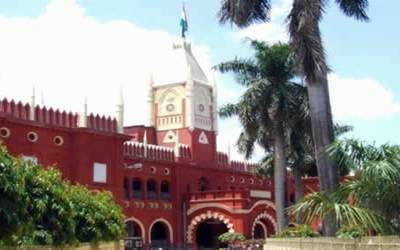 The oath-taking ceremony was held at the conference hall of the high court and attended by Odisha Chief Minister Naveen Patnaik, state Law Minister Arun Kumar Sahu, sitting judges, judicial officers and a large number of lawyers, besides senior police officials. Waghela replaces Justice Pradip Kumar Mohanty, who was the acting chief justice of the high court. With the assumption of office by the new chief justice, the number of the high court judges has now reached 22, its sanctioned strength, said sources. Born in August 1954 at Rajkot in Gujarat, Justice Waghela began legal practice in his hometown in November 1975 and was elevated to the bench of the Gujarat High Court as an additional judge in September 1999.